In case you missed it, one day after eBay rolled out the Good Til Cancelled (GTC) mandate, the company said it would address an important billing issue raised by sellers that had caught executives and managers off guard. “A quick update. As you are aware, starting March 18th the Good ’till Cancelled (GTC) format is now the only duration available for fixed price listings. If you have shorter duration listings that were listed before March 18th, they will end as scheduled and then when you relist you will see GTC as the only option. Sellers had identified the billing ramifications almost as soon as eBay made the new GTC mandate known as part of its February 26 Early Seller Update. We described sellers’ concerns about the billing ramifications of the GTC mandate in this March 3rd Newsflash article. Executives who had been caught off guard are giving themselves over 2 months to deal with the problem, despite having given sellers only 3 weeks’ notice before implementing the mandate. Unfortunately Burke gave no indication of how eBay would address the issue in his March 19th update. Nor did he give an indication in his comment that eBay would address any other concerns raised by sellers. It’s also unclear why Temkin himself did not announce the update. As usual Ebay did not give any thought to the ramifications of what they were doing, just found a way to grab some extra money and ran with it. So now they have to figure out how to fix the program to adjust for their stupidity. 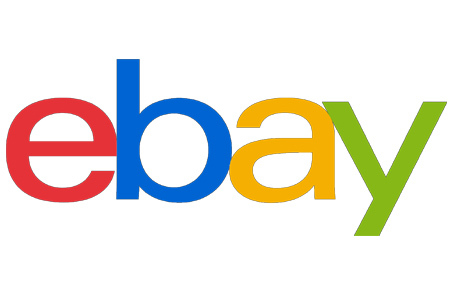 Ebay has gotten to where they now totally depend on the sellers to do all their work for them when it comes to the ramifications of their money grabs just as they depend on the Sellers to be their Beta Testers rather than pay for their own department. This is what has led to Ebay being such a glitch filled site as the teams do not work together or even communicate for that matter. Each team has their own agenda and that is all they focus on. So now somebody has to try and figure out the cheapest way to make a change to this without costing Ebay all the extra money they were counting on from this move. The reason he said by May is because May is the next month with 31 days, and they know it won’t be fixed by the end of March. He didn’t really mean it would take 2 months to fix, just that it would be fixed by the next 31 day billing cycle. The only logical fix is to change the fixed price GTC duration to 31 days. But this is ebay, and there will be ghost pages that refer to 30 day duration forever, as well as all the other now non-existent durations.